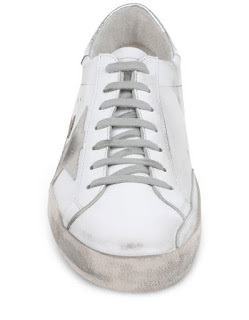 You know how it can be a bit cooler when your protein white sneaks get a bit dirty? 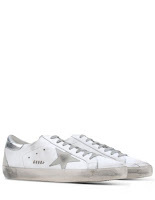 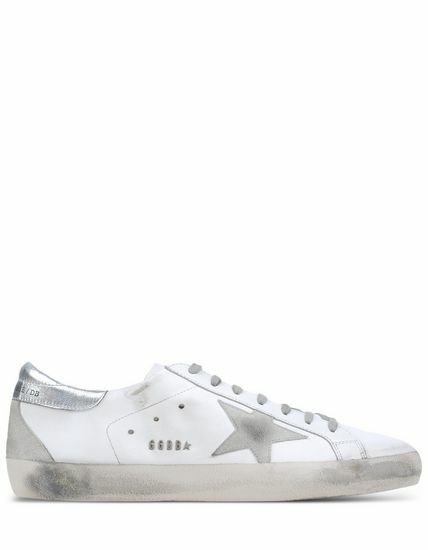 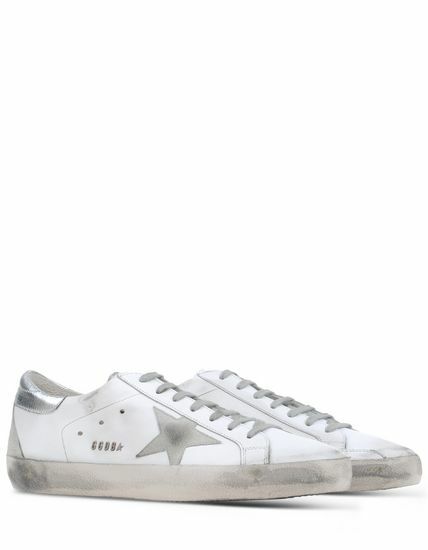 If so, then try these Golden Goose Low-Top Trainers on for size. 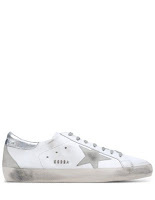 The leather on these are durable and this is the kind of sneaker that will look cooler once they get more lived-in. The shades of white combined with the silver detailing and all together with the distressed effects make this a great shoe to go with pretty much all things Spring and even a few things Winter. 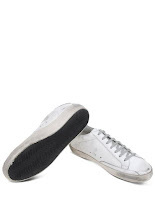 Available now at The Corner.com.